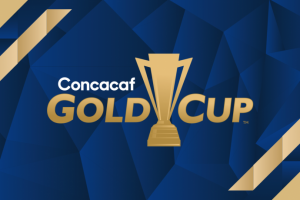 Groups & Schedule for the 2019 CONCACAF Gold Cup announced! Home / International Football / Americas / Groups & Schedule for the 2019 CONCACAF Gold Cup announced! The Confederation of North, Central America and Caribbean Association Football (CONCACAF) yesterday announced the groups and schedule for the 2019 CONCACAF Gold Cup. The details were unveiled at an event hosted at Banc of California Stadium in Los Angeles, in the presence of the participating head coaches, as well as football personalities, city dignitaries, and Confederation officials. Previous VIDEO – 420 Grams Shorts: India U-23 coach Derrick Pereira on the Future of Football! Next rs1tv VIDEO: FC Remscheid beat SG Hackenberg 2-1 in local cup!